Intellectual property includes the results of intellectual activity, which can enjoy legal protection in accordance with the Fourth Part of Civil Code of the Russian Federation. The Russian Civil Code regulates copyright and neighbouring rights, the system of collective management of copyright and neighbouring rights, patentable inventions, utility models, industrial designs and means of individualisation. 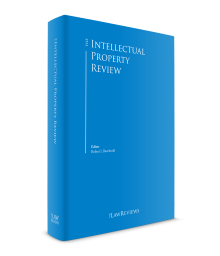 There are two distinct categories of results of intellectual property activity that can be granted legal protection in Russia. The first group includes patentable inventions, industrial designs and utility models, while the second one covers means of individualisation. Patentable inventions (technical solutions related to a product or to a process) may be protected if they meet the necessary requirements, that is, if they are new, incorporate an inventive step and are capable of industrial application. An invention is capable of industrial application if it can be used in industry, agriculture, healthcare or in other sectors of the economy or in the social sphere. The duration of a patent in Russia is 20 years. This may be extended for a further five years for inventions in agrochemistry or in pharma. In contrast to some other countries, Russian law also protects utility models and industrial designs. Patent protection for utility models can be granted for 10 years. To be patentable, a utility model must be new and capable of industrial application. Industrial designs relate to the appearance of a product. An industrial design need only be new and original to be patentable. Industrial designs can be protected for five years, and this can be extended for a further five years. This in turn can be renewed so that the entire duration of a design patent may be up to 25 years. In addition to national registration, the invention can be protected on international level by filing one international application under the Patent Cooperation Treaty. Alternatively, the invention can be protected on the basis of a single Eurasian patent valid on the territory of the nine member states of the Eurasian Patent Convention including Russia. Since 28 February 2018 Russia is a party of the Hague Agreement concerning the International Registration of Industrial Designs. This international procedural treaty allows obtaining protection of industrial design in Russia and many other states through a faster and less expensive procedure by filing an international application. Russian IP legislation protects, inter alia, means of individualisation, namely it provides for legal protection for those names or designations that are used to distinguish and identify companies, or goods or services that they offer. Among these rights are company names, trade names or commercial names, trademarks and service marks, as well as appellations of origin of goods. To be protected in Russia, a trademark or a service mark needs to be registered. The duration of a trademark protection is 10 years calculated from the date of filing. This 10-year protection can be renewed an unlimited number of times. Trademark protections may also be protected in Russia under the Madrid System of the International Registration of Marks. The key institutions in intellectual property regulation in Russia are the Russian Federal Agency for Intellectual Property, Patents and Trademarks (Rospatent), which is a regulatory authority and which is also responsible for registering intellectual property rights, and the Russian Intellectual Property Court. The creation of the IP Court in 2013, which was the first, and remains the only specialist civil court in Russia (including in the Soviet era system), was a big step towards establishing and developing practice in the application of the law and developing legal precedents. This innovation has also obviously improved professionalism and provided a sound legal basis for judgments in this area of law. The Intellectual Property Court, as part of the Russian commercial court system, reviews cases as a court of first instance; thus, it reviews regulatory and legal acts of Rospatent. As a court of first instance, the court hears applications to have registrations of intellectual property rights declared invalid and disputes over the ownership of intellectual property rights. As a court of third instance (i.e., a court of second appeal or cassation) it hears cases concerning the infringement of intellectual property rights between legal entities and individual entrepreneurs. The cassation rulings of the IP Court can be further appealed to the Supreme Court of Russia. Other rulings are appealed to the presidium of the same Intellectual Property Court. Judging by its activity since the launch, the introduction of the Intellectual Property Court has been an important and a long-awaited development in Russian intellectual property practice. Intellectual property owners have benefited, since intellectual property disputes (including those associated with intellectual property prosecution issues) in Russia are now reviewed by judges specialising in this area of law. Furthermore, the creation of the Intellectual Property Court has meant that courts now have a common approach to decision-making and their practices have become more uniform. It has also helped identify gaps in Russian intellectual property legislation. After joining the WTO, Russia adopted new intellectual property legislation to implement international standards for protecting intellectual property rights. Thanks to this, the legal mechanisms for combating infringements of intellectual property rights have been gradually improving in many respects. Russian law now provides for adequate remedies for the owners of intellectual property rights, and those who infringe them may face civil, administrative or criminal liability. Rospatent is subordinated to the Ministry of Education and Science and it is responsible for the registration of intellectual property rights to trademarks (service marks, collective marks), appellations of origin of goods, patents, software, databases, as well as for the registration of any licence (and sub-licence), assignment contracts or pledge contracts in respect of registered intellectual property rights. Currently discoveries, scientific theories, mathematical methods, purely aesthetic elements, rules and methods of intellectual or economic activities, computer programs and solutions that provide information only without an element of technical application cannot be patented in Russia. Furthermore, plant varieties, species of animals or biological ways of obtaining them (except for microbiological processes), the products of these techniques and circuit layouts cannot be protected as inventions. Methods of cloning of human beings, human genetic modification techniques, the use of human embryos for industrial and commercial purposes and other objects that are contrary to morality cannot be registered. However, Rospatent is known to have registered inventions related to molecular biology, namely DNA selection methods. It is common for applications to patent business processes to be refused; however, it is thought that Rospatent is becoming more receptive to applications to register inventions that, although structured in the form of methods, are essentially business methods. Methods of treatment or diagnosis may be patentable methods, and there are precedents of these types of methods having been registered. A number of disputes concerning the registration of intellectual property, as well as the cancellation of their legal protection, are to be settled in pretrial administrative procedures. The Chamber for Patent Disputes, which is a division of Rospatent, was established in 2005 as an administrative body to resolve disputes related to the protection of intellectual property rights. The Chamber for Patent Disputes also considers objections to the decisions of the PTO examiners. Russian customs officers can also assist in protecting intellectual property rights provided the right owners applied to have the relevant rights entered into a special Customs Intellectual Property Register. However, the powers of customs officials are limited to copyrights and trademark rights (they do not cover inventions, utility models or industrial designs). Along with the traditional results of intellectual activities, non-traditional objects of intellectual property are protected under copyright law, patent law and the law on means of individualisation. These may be know-how (trade secrets), breeding achievements, circuit layouts, etc. For example, information with actual or potential commercial value for the manufacturer can be protected in Russia as a trade secret or as know-how. The owner of this information must take active measures to protect its confidentiality and to ensure that the information is unknown to third parties. Any type of computer program (including software), which may be expressed in any language and in any form, including the initial text and compiled code, is protected in the same way as the copyright to literary works. However, it should be noted that the ideas, languages and algorithms of the elements of a program are not subject to copyright protection. There are various mechanisms in law for enforcing intellectual property rights, including administrative, civil and criminal enforcement. The best approach to defending rights would depend upon the type of the infringement, as well as upon the scope of the damage. A civil court, either of common jurisdiction or a commercial court would be the primary venue for the civil route of enforcement. The administrative procedure provides that the owner of intellectual property rights is entitled to submit a matter to the Federal Anti-Monopoly Service. There are two systems of civil courts in Russia: the courts of general jurisdiction and the commercial courts. The general principle is that the commercial courts hear disputes in the economic sphere (normally involving legal entities), and all other disputes are handled by the courts of general jurisdiction (normally involving individuals). In particular, the courts of general jurisdiction hear disputes on the authorship or the protection of the rights of authors, and the commercial courts hear the majority of disputes on the protection of exclusive rights when the owners of those rights are legal entities. Depending on the category of the dispute, the proceedings may take place in the commercial courts, with the Russian Intellectual Property Court as a cassation court, or in the courts of general jurisdiction. The judicial protection of patent rights allows the court to order the infringement to be stopped, counterfeit goods to be seized and destroyed, and damages (or alternatively compensation) paid to the owner of the patent. In a case involving the infringement of exclusive rights to an invention, to have a chance of success, collecting relevant evidence ahead of time is vital, since in Russia there is no such procedure as disclosure or discovery as in some other jurisdictions. In addition to all the documents presented on a case-by-case basis, the owner of the rights will often want to produce to the court evidence of counterfeit goods being offered for sale or any other purpose found on the infringer’s website. This protocol of the inspection is to be prepared by a notary public. In the majority of patent infringement cases, the main evidence is the examination statement of a forensic examiner appointed by the court. As discussed, many disputes in the area of intellectual property are subject to the jurisdiction of the Russian Intellectual Property Court, where the judges are lawyers specialising in IP matters. They can also use the assistance of external technical specialists. The court shall consider all evidence submitted by the parties, but a great deal of emphasis is put on the patent technical forensic examination. Usually a trial will begin with the adoption of the statements of claim and the commencement of the case by the judge, resolved by a judge alone. This is sometimes preceded by a preliminary injunction procedure. Once the statements of claim have been adopted, the judge rules that proceedings are instituted. This ruling states that the case is at the preparation for trial stage and also sets out the steps to be taken by persons participating in the case, and when they must be completed. The defendant must normally submit a defence brief to the court and to the persons involved in the case. This should be submitted in reasonable time so that it can be reviewed before the start of the trial. The preparation of the case for trial should be completed no later than two months after the date of filing the statements of claim by the court. As a general rule, preparation of the case for trial is completed at a preliminary hearing that is normally scheduled by the judge within about a month of submission of the statements of claim. The preliminary hearing is heard by a judge alone to consider the results of the preparatory work by the court and persons involved in the procedure, as well as to decide if the case is ready for a court hearing and if a court hearing in first instance can be appointed. In accordance with the law, any written or other physical evidence, accounts of persons involved in the case, expert and professional advice or testimonies, audio and video records, and other documents and materials can all be submitted as evidence. The parties are entitled to request and submit additional evidence, as well as to present motions to call witnesses in the trial or motions to conduct examinations at all stages of court proceedings. This allows the parties to bring additional evidence not previously claimed in the case at a later stage. A court hearing may be postponed in order to require additional evidence or to conduct an examination and hear the testimony of witnesses or third parties. After all the evidence has been provided in the court procedure, the parties hold a debate, summarising and presenting their position to the court. The court makes a decision, which can then be appealed to a court of second instance. In an ideal situation, the court procedure takes no more than four months from the date when the statement of claim is filed, until a decision is made, but in practice, the process is likely to be much longer. Innovations in the law now mean that before filing a statement of claim to the court, the prospective plaintiff is obliged to send the infringer a claim in writing attempting to settle the dispute between them at the pretrial stage. The claim must contain clear requirements, the circumstances on which requirements are based, and other information necessary to resolve the dispute. After this pretrial settlement attempt, the dispute may be transferred to the court only once 30 calendar days from the date of claim have elapsed. This procedure is a statutory requirement in most civil cases, except cases in the intellectual property area related to the early termination of legal protection of a trademark because of it not being used. The statement of claim should be filed with the court in writing and be signed by the plaintiff or his representative. The statement of claim should include the name of the plaintiff and his or her address and any contact information; as well as the name and address of the defendant. The plaintiff’s position and claims against the defendant should be clearly set out and the statement should refer to the relevant laws and other regulatory legal acts. The plaintiff should set out the circumstances on which his or her claim is based and support these circumstances with evidence. As well as the value of the claim, the statement should also set out the calculation of the sum payable, information on compliance with the plaintiff pretrial procedure (if any), and information on the measures taken by the court to ensure property interests prior to the commencement of the action. The statement of claim may include any other information, if it is necessary for the proper and timely examination of the case. For example, a motion requesting discovery of evidence from the defendant or other persons may be included. The plaintiff can also provide the results of non-forensic examination as evidence. Despite the fact that the findings of this examination would reflect only the opinion of one of the parties, the court hearing these cases can take into account the totality of all evidence in case. In some situations, for example, if a forensic examination is conducted by two expert organisations and their views are different, the opinion of the non-judicial examination could play a decisive role. The plaintiff is obliged to provide other persons participating in the case with a copy of the statement of claim and the documents annexed to it. These requirements must be complied with, otherwise the court may not take action and leave the case at a standstill until the requirements of the law are satisfied. As mentioned above, the defendant is obliged to submit a statement of defence to the court and the persons participating in the case, stating its objections to the claims of plaintiff. The structure of the statement of defence is similar to the plaintiff’s statement, namely, it must specify clearly the defendant’s position and attach relevant evidence. Building a successful defence is typically based on certain tactics, including defensive invalidation of a patent. A patent could be deemed invalid for various reasons throughout the period of its validity. Proceedings on patent infringement are normally suspended until the validity of a patent is determined, subject to some procedural exclusions. Patent protection can generally be cancelled on the following grounds: non-compliance of a patent with the patentability criteria; omission of data from the original application to register the invention or utility model, or from the list of essential features relating to it; grant of a patent in case of several identical applications with the same priority date; issue of a patent with the names of person or persons as the authors who are not the true authors, or not specifying the persons who are the true authors. In the case of a defendant having used an identical product even before the disputed patent was granted, the defendant can argue that he is entitled to continue to use it based upon the right of prior use. The defendant can also provide the results of non-forensic examination. As mentioned above, patent infringement cases are rarely heard without forensic examination in Russia. As the forensic examination is normally conducted by examiners suggested by the parties and appointed by court, it is always important to persuade the judge that your candidate is most appropriate to prepare this. In general, the strategy and the tactics of defence in patent litigation depend upon the particular aspects of each case. In an ideal situation, the court procedure takes no more than four months from the date when the statement of claim is filed, until a decision is made, but in practice, the process is likely to be much longer. There are some additional remedies available to the owner of the rights in the case of infringement. Although the pretrial procedure for a written claim directed to the infringer is a requirement of the law prior to initiating a case, it can also have some benefits for the owner of the rights, for example, lower costs to the plaintiff (in the form of government fees, legal service fees and the costs of conducting examinations). In practice, right holders already use this kind of procedure. However, it is effective only in cases when the direction of claim does not make it very complicated or even impossible to impose liability on the infringer by court order. In the case of a prospective defendant knowingly violating intellectual property rights, such an infringer, having received a pretrial claim, will use the 30-day period allowed by this before proceedings can be started to file an objection via administrative proceedings to have the intellectual property rights of the plaintiff in question deemed invalid, and then will use this argument to suspend a prosecution. Such examples show that this obligatory pretrial procedure is not useful in every case of violation of intellectual property rights, and can even undermine the position of the owner of rights. Russian law also allows the parties to a dispute to take interim measures. When a party to a dispute files a preliminary injunction motion, the court may take urgent interim measures aimed at safeguarding the claim or property interests of the party. Interim measures are allowed at any stage of the court process, including up to 15 days before filing the statements of claim if the non-application of these measures would make the execution of the judgment difficult or impossible. Interim measures the courts would typically apply include ordering the prohibition of certain acts infringing exclusive rights, the seizure of counterfeit or otherwise illegal products, and the seizure of equipment used for producing illegal products. It should be noted that in practice Russian courts are often reluctant to impose preliminary injunction measures in intellectual property disputes, other than seizing fake products, blocking infringing domain names or blocking of infringing websites. In these three types of intellectual property cases, the plaintiff can reasonably rely upon a Russian court to impose interim or preliminary injunctions. It should be noted, that in cases involving a foreign party, from the legal standpoint, there is no procedural difference between domestic and foreign parties to the dispute. Therefore, interim measures can be taken by the court regardless of the nationality of disputing parties. As mentioned above, the jurisdiction of the court and, therefore, the jurisdiction of appellate review of decisions, depend on the nature of a dispute related to the intellectual property. For example, objections based on the fact that an invention, utility model or industrial design does not meet one or more of the conditions of patentability are considered by Rospatent. The decision taken by Rospatent may be appealed in the Russian Intellectual Property Court within three months of the date of the decision. Thus, this court is essentially the final authority in determining the grant of legal protection for intellectual property. Decisions made by the Russian Intellectual Property Court in the first instance may be reviewed in cassation (appeal order) by the Russian Intellectual Property Court. A petition of appeal can be filed with the court within two months of the date of the decision made in the first instance. The Court verifies only the legality and validity of decision. The cassation rulings of the IP Court can be further appealed to the Supreme Court of Russia. Decisions made by state commercial courts and by the courts of general jurisdiction are reviewed in appeal order in the superior court within one month of the date of the decision. The decisions can also be reviewed in cassation order and then in a court of supervision. An IP dispute can be resolved not only at court, but also by alternative methods. For example, IP owners can settle a dispute through the mediation procedure. In accordance with the law, the mediation procedure is applicable on the basis of an agreement between the parties, including a reference in the contract to a document containing conditions for the settlement of the dispute with the assistance of a mediator. In addition to mediation, IP disputes can be transferred by parties on the basis of an arbitration agreement to an arbitration. Despite the fact that the alternative methods of resolving disputes have some advantages, for example, confidentiality of the information involved, in practice these methods are not used frequently by IP owners in Russia. Intellectual property protection in its modern sense is considered to be quite young in Russia. This area of law is still changing, which leads to new amendments, improvement proposals and legal discussions. The main trend in the development of legislation in the field of intellectual property today is towards optimising defence mechanisms for the protection of the intellectual property. Active development in the legislation is not only natural but also necessary in the context of the development of modern scientific technology. For example, it has become clear that protecting intellectual property on a national level only is not enough. For example, the Eurasian Economic Union has established a common customs registry of intellectual property, which will help to suppress counterfeit products. The issue of parallel importation is a hot topic now and is on the table in the Russian society. In general, parallel importation is considered as an infringement in Russia, although recent trends in the court practice and relevant legislative initiatives are controversial in this respect. Moreover the Russian authorities have been pushing for parallel imports to be allowed, at least in relation to certain types of goods (such as pharmaceuticals, medical devices, automotive parts, cosmetics, perfumes, alcoholic beverages (except beer) and hygiene products). The issue of legalisation of parallel imports has also been considered on the Eurasian Economic Union level. In 2017, the Eurasian Intergovernmental Council was given the right to allow parallel import of certain goods, but only provided that all the members of the Eurasian Economic Union come to an agreement, which has not happened yet. Some of the main issues now being faced are software piracy and the problem of ‘patent trolls’ (i.e., companies whose main income is generated not from their business activities but from litigation against other companies that have been implicated in the improper use of their patents). At the legislative level, there are many ongoing discussions related to possible amendments to the legislation to address the current gaps in the law and improve the situation of the owners of rights. The Russian legal framework in the area of intellectual property is generally in line with international standards, allowing Russian and foreign owners of rights adequately to protect their intellectual property rights. 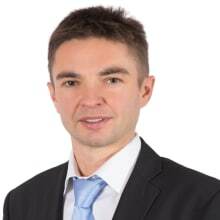 1 Anton Bankovskiy is a partner and leads the intellectual property practice and Anastasia Entyakova is a junior associate in the intellectual property practice at CMS in Moscow, Russia.